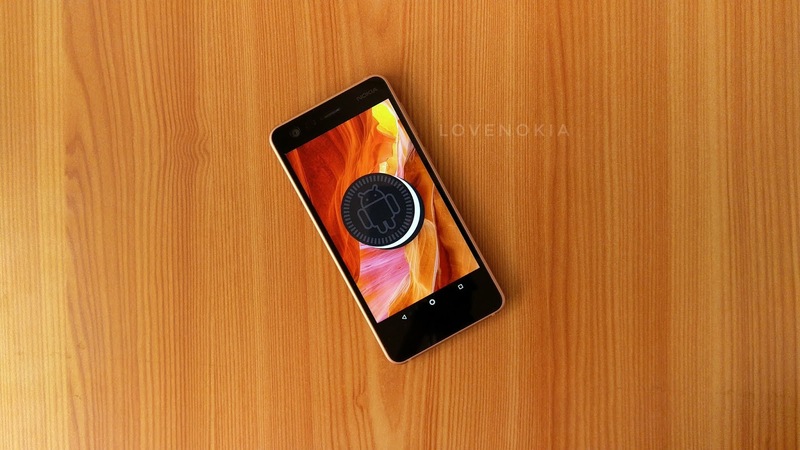 LoveNokia | Latest News and Information about Nokia Mobile: UPDATED | Prolonged Android Oreo Beta testing for Nokia 2 finally comes to an end. Optional Android Oreo update to be available soon. UPDATED | Prolonged Android Oreo Beta testing for Nokia 2 finally comes to an end. Optional Android Oreo update to be available soon. Last month Juho Sarvikas shared the reason why it is taking them so long to update the Nokia 2 to official Android Oreo. 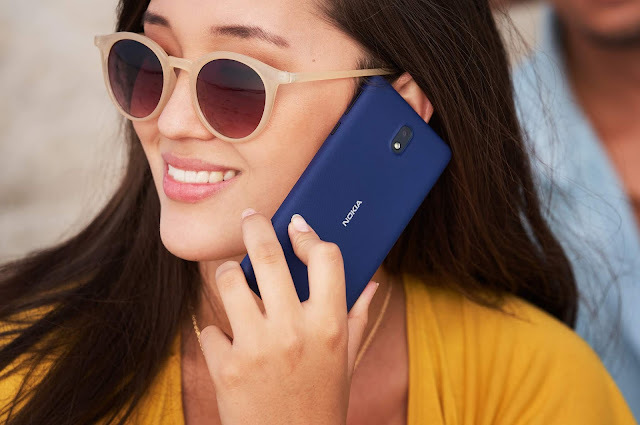 Nokia 2 runs the normal version of Android and starting from Android Oreo Google moved devices with 1GB RAM to the Go versions of Android and it is not possible to switch to Android Go if the device shipped with a regular version of Android. 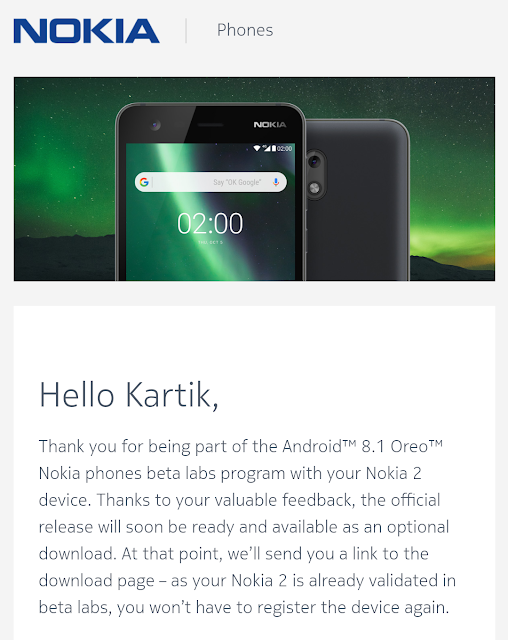 Nokia Mobile has now sent out notification emails announcing the end of beta testing to those who registered their Nokia 2 on Beta Labs for testing Android 8.1 Oreo. The email also mentions that the final update will soon be ready and the link to the download page will be sent via email. Below is the screenshot of the email I received. As you can read in the email, the Android 8.1 Oreo update is optional and it is upon you to decide if you want to stay on Android 7.1.1 Nougat or update to Android Oreo. If you want a snappy performance it would be best to stay on the Android Nougat as I don't see some huge changes in Android Oreo that most users will notice. But if you want to try out you can download and install the Android 8.1 Oreo update once it is available for download. Nokia Mobile has released the official Android 8.1 Oreo update for Nokia 2 and the users will have to manually request for OTA as this is an optional update. Nokia 2 users who are interested in trying out Android Oreo on their devices can request the OTA update from the link below.